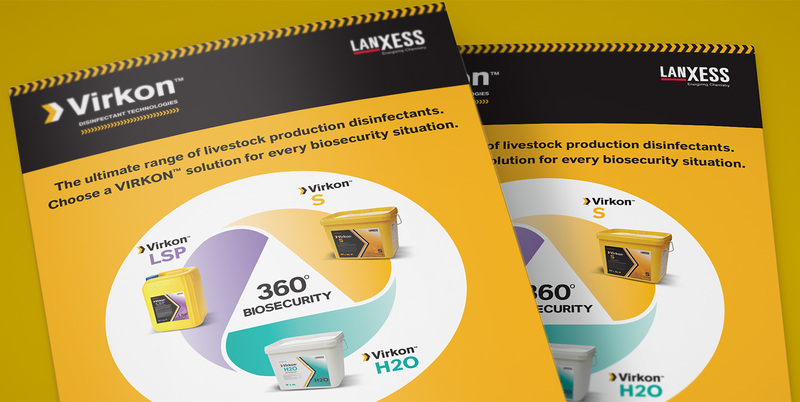 LANXESS are already the go-to for general biosecurity, with their Virkon S disinfectant a standard choice for businesses and governments alike. 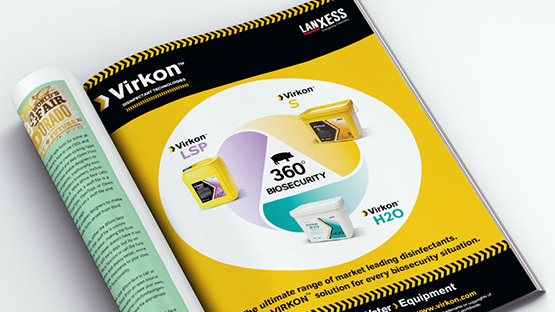 Despite consistently strong sales though, complementary disinfectants Virkon H2O and Virkon LSP had failed to similarly impact the market, despite being essential for comprehensive protection. 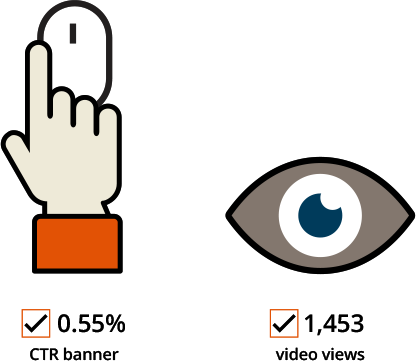 We aimed to change that, giving the complete range the uptake it deserves. 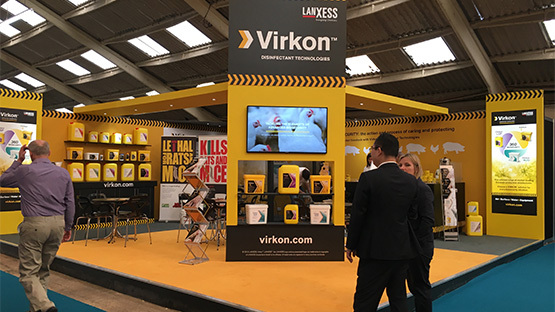 RDP developed the Virkon 360 Biosecurity campaign – a unified messaging platform to highlight the vital role each product plays in disease prevention in livestock production, including unique imagery, distinctive positioning, and a logical customer journey. We produced a family of assets to support this message, including event stand video, PR packs, brochures and media print ads. RDP understood the subtle but essential differences between each product and retained their core identity while making the brand more cohesive and impactful as a whole. 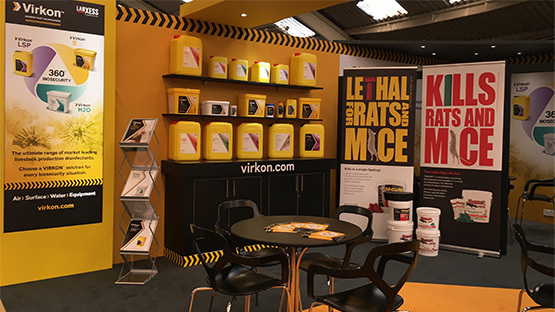 Support has been consistent and insightful – the Virkon family campaign has created a strong position in the market, generating stronger sales and awareness.